Below is the text of the Forest Hill Society submission regarding the Proposed Crofton Park and Honor Oak Neighbourhood Plan Area. Further details of the proposed forum and boundaries can be viewed on Lewisham council website. 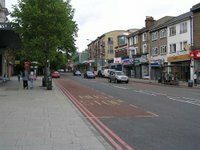 The Forest Hill Society is the local amenity society for the SE23 postcode area which is run by the community for the community and has over 400 members. 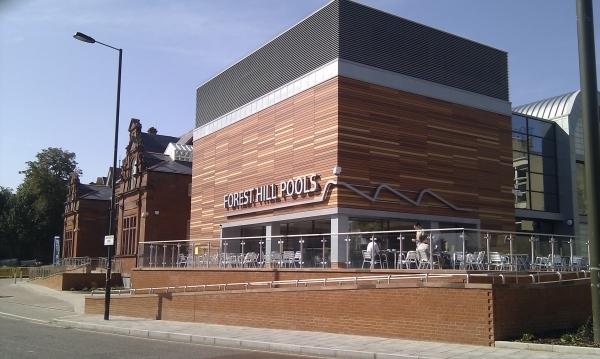 It works to make the whole of Forest Hill 'an even better place to live' in a range of ways, including through involvement in the planning system, transport issues, environmental improvements, community events and working with a range of other groups and organisations. The SE23 postcode area includes the neighbourhood of Honor Oak Park and we have many members that live in this part of the area. Over the past 3 years the Forest Hill Society have been involved in various workshops, discussions and ideas around neighbourhood planning in SE23 and nearby, including meeting with the Council. Our current approach is to work positively on ideas for improving key parts of the area that need it most and to see whether a neighbourhood plan is the effective way of achieving change on a case-by-case basis. The Forest Hill Society is positive about the potential of neighbourhood planning and would like to support and work with any group or community within or around SE23 looking to improve their area. In relation to the current applications for the Neighbourhood Plan boundary and Neighbourhood Forum we have a number of concerns and we to object to both applications as they stand at the moment. We are concerned that the boundary does not represent a neighbourhood as it actually functions and excludes many residents who rely on and use key parts of the planned area. As the proposed area is currently set out, and taken together with the proposed constitution which states that the neighbourhood plan is for the benefit of the inhabitants of the area, this would mean that many people who associate with either Crofton Park or more particularly Honor Oak Park but who do not live in Crofton Park Ward would be excluded both from membership of the forum and more importantly from voting in a future referendum. "Membership of the Forum is open to those who live or work in Crofton Park Ward and to the area's elected representatives." In this case the proposed NP boundary reflects the Ward Boundary for Crofton Park Ward. There is no reason for the Neighbourhood Plan to be this boundary as within Metropolitan areas there are no set rules for how a NP boundary should be set. We can see that boundaries need to be somewhere but in order to be effective, both in their preparation and their ratification these should reflect functional neighbourhoods or communities. Our particular concern in this case is that the NP boundary does not reflect the neighbourhood or community of Honor Oak Park as it only includes land to the east of the railway line and not the other half of this community to the west. This is a problem because one of the key areas that could really benefit from the potential opportunities that neighbourhood planning could secure is Honor Oak Park and the important local shopping centre that is located along this road. As it stands the boundary would mean that the many residents of Honor Oak that do not live within Crofton Park ward would not be able to influence, contribute to or vote on key changes that might be proposed through the neighbourhood plan for this area. A key open space (Honor Oak recreation ground) that is used principally by residents of Honor Oak Park is also excluded from the NP boundary. Other parts of Honor Oak Park e.g. One Tree Hill, are also closely associated with this area but we can see that they also have a wider significance. There is also a concern that the southern part of the proposed Neighbourhood plan boundary may be functionally part of Forest Hill rather than Honor Oak Park. At a recent Crofton Park Ward Assembly meeting we understand that residents who did not live within the ward (but who live very close to the boundary) were not allowed to be part of the discussion about the proposed Neighbourhood plan even though they had come along specifically to find out more about it. It would therefore seem that the NP boundary being following Ward boundaries might actually create more problems than it solves and end up marginalizing residents who would be impacted on by the plan but who don't live within the identified area. It is interesting to contrast this approach to the NP boundary and forum application with that for Grove Park which is also on your website and which does appear to have covered these issues in some detail. We would suggest that as an authority it may also be worth Lewisham considering separating the approval of an NP boundary with that of the neighbourhood forum. This is the approach being taken in at least one other London Borough (Westminster) and it allows the boundary application and debate to focus on whether it covers a functional neighbourhood, before the application is considered about whether the proposed forum membership and constitution is inclusive and appropriate in those specific circumstances and for the approved boundary. As part of our consideration of the NP proposals for Honor Oak Park and Crofton Park we have spoken with a number of FHS members and residents who live within the proposed NP area and nearby. It appears to us that this concern about the boundary is one shared by quite a number of local people. We are concerned about the wording of the proposed constitution in that it only includes those that live and work in the area and does not take account of the fact that the NP boundary does not reflect a functional neighbourhood and that it is in a complex urban area of overlapping places and functions. The Grove Park application does at least appear to have considered these issues. It is not clear how the NP Forum intend to include, work with and take into consideration the views and contributions of people living nearby the NP area and who will rely on, use and feel part of key centres within the NP area on a day to day basis (principally Honor Oak Park local centre). To some extent this will always be an issue in high density urban areas but is a particular problem in this case because the NP area does not accurately reflect one or more functional neighbourhoods. We are aware that there is a duty to consult with neighbouring groups and statutory consultees as part of the regulation 14 consultation set out in the Neighbourhood planning regulations. However, this stage of consultation is too late for any meaningful opportunity for neighbours to influence the vision and objectives of the plan as it is only undertaken once a plan is written and ready to be consulted on. It is also unlikely that neighbouring residents would be consulted at this stage as the focus is really on neigbouring authorities and organisations. In parished areas outside of major cities it may well be appropriate to focus the neighbourhood forum on only those who live or work in the Parish as there is more likely to be lower density, rural or peripheral areas around key areas of focus, such as towns or villages or local centres. However, in urban areas such as this, with a number of overlapping communities it is important to both consider and reflect how people relate to and use an area, as well as take account of this 'overlap' and propose how to address it in the constitution of the neighbourhood forum. Unfortunately we understand that whilst the draft constitution says lots of positive things about working with local groups and being inclusive we have concerns that this may not reflect the intention of the some of those in the group when it comes to including groups who operate partially within and also outside of Crofton Park Ward (such as the Forest Hill Society). We are concerned that any neighbourhood forum needs to be inclusive of individuals and groups who are wholly within the neighbourhood area and also those who operate partially within it too, such as the Forest Hill Society, or who live nearby. We would ideally like some assurances, if this application is approved, that the Forest Hill Society, as a key civic group and local stakeholder with members in a large part of the proposed NP area would be able to contribute to the plan and to work collaboratively with the forum. We think that best way to achieve this is if the Forest Hill Society and other groups are listed in the proposed constitution of the Forum as one of a number of groups that will be consulted with and engaged with as the plan develops, and ideally be involved in Forum meetings. We would be happy to look to identify Forest Hill Society representatives who are also residents within or nearby to the Neighbourhood Plan area. We would welcome the opportunity to engage with this forum and have previously made some attempts to do so. We very much want to work with any Neighbourhood Forum in the development of a Neighbourhood Plan that serves local people and seeks to improve an area. We believe the spirit of Neighbourhood planning should be about inclusion, collaboration, and a best practice approach to working community issues. We do not believe it should be about the idea of perceived 'exclusive' control of an area by one group. We hope that the concerns we have about the current proposals are clear to you in this letter. We would be very happy to discuss these with you further if this would be helpful.